There are nearly two billion websites on the internet. On any given day approximately 1% of those — roughly 20 million — are infected with malware. Likewise, on any given day, nearly one million new malware threats are released and the average website is attacked nearly 50 times! The more feature-rich your website is, the greater the odds are that these attackers will find a vulnerability to exploit; creating all sorts of havoc, like stealing confidential information, making fraudulent purchases, stealing your traffic by redirecting traffic from your site to another, and using your site and/or server to deliver spam, viruses, trojan horses and adware to your site’s visitors. Too often, by the time you realize your site has been infected with malware, damage has already been done, such as having your website quarantined or removed by your hosting company and having your site flagged or blacklisted by web browsers, let alone the damage done to your visitors. Fortunately, if this has happened to you, we can help. We provide efficient malware removal services in which we will scan your site for vulnerabilities and malware, clean or remove hacked files, database entries and backdoors, and harden your security to prevent future attacks. We can also help with blacklist removal and will provide an itimized report detailing the work done and the preventative measures that were implemented. Generally, we can get your site clean and healthy within 24 hours. We also offer an emergency service in which we aim to get your website back up in less than six hours. To get started or to request a quote, email us at info@emergestudio.design or give us a call at: 55 6829 4283 in México or: 209 626 1344 in the United States. The first step is to determine the extent of the problem. We do this by scanning all the files on your site for vulnerabilities and malware. The second step is to systematically clean or remove malware from your website's files. 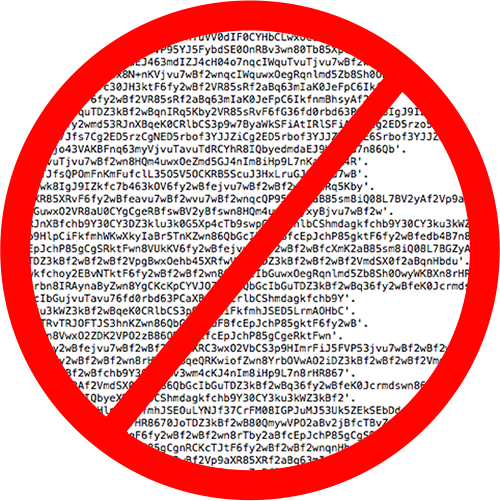 This includes any unwanted scripts, content, database entries, backdoors and spam links. The third step is to reenforce your website's security to help prevent future attacks. We will also initiate the blacklist removal process if necessary. We will continue to monitor your site for two weeks to ensure we've got everything and recommend you sign up to one of our maintenance plans to prevent future attacks.